Item # 309869 Stash Points: 2,995 (?) This is the number of points you get in The Zumiez Stash for purchasing this item. Stash points are redeemable for exclusive rewards only available to Zumiez Stash members. To redeem your points check out the rewards catalog on thestash.zumiez.com. 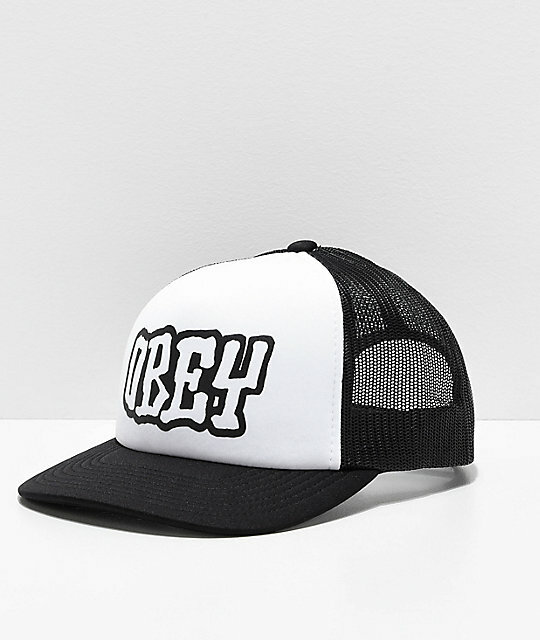 Complete your laidback looks with a touch of Obey styling and grab their Loot Black and White Trucker Hat. 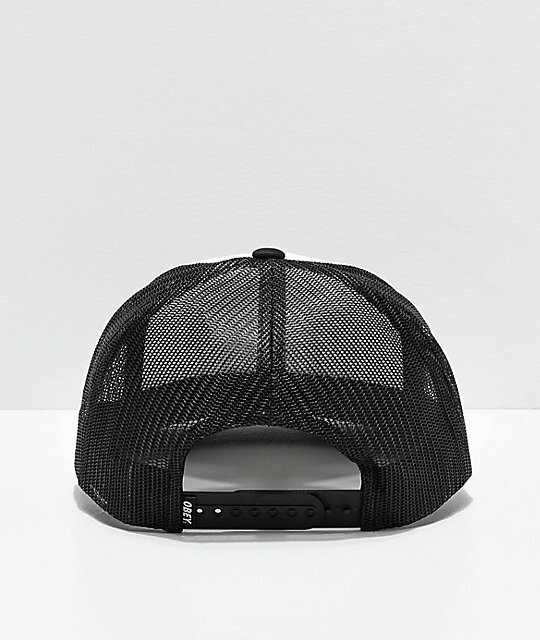 Made with a classic trucker hat silhouette, this two-toned accessory offers an overall simple design that comes finished with the brand's signature logo script across the front crown. 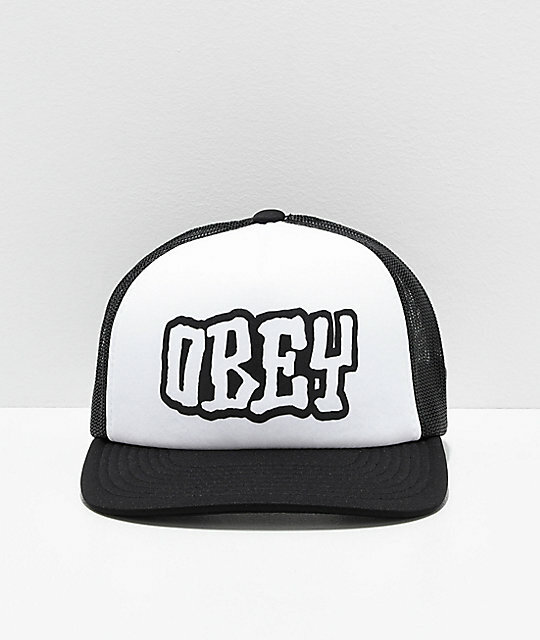 Loot Black and White Trucker Hat from Obey. Classic trucker hat construction with solid front panel and mesh back panels. Screen-printed logo script on front crown. Adjustable snapback sizing piece for custom fit with brand tag.